John Brennan defends nuclear deal, saying Iranian concessions are 'surprising,' but noting it won't stop their regional power grab. CIA director John Brennan gave a staunch defense of the framework nuclear deal with Iran on Tuesday, calling some criticism of the accord "disingenuous" and claiming Tehran had made considerable concessions. In his first public remarks since the outline agreement was announced last week, the spy agency chief said the deal would impose a litany of restrictions on Iran's nuclear work, reports AFP. "I must tell you the individuals who say this deal provides a pathway for Iran to a bomb are being wholly disingenuous, in my view, if they know the facts, understand what's required for a (nuclear) program," Brennan told an audience at Harvard University. His statement comes after US President Barack Obama admitted the deal would leave Iran with a "zero" breakout time by 2028, meaning it could create a nuclear weapon immediately at the time of its choosing. The outline deal announced last week would see the United States and the European Union lift all nuclear-related sanctions on Iran in exchange for the Islamic state limiting - but continuing - its uranium enrichment for a certain time period, until those limits expire. The accord would mean "cutting off pathways not just to uranium enrichment but to plutonium enrichment" and include a "very intrusive inspection regime," Brennan claimed, although it has been noted that despite touting "cutting off pathways" to the bomb, the US has acknowledged Iran could achieve a nuclear weapon within a year if it doesn't uphold the deal. "I certainly am pleasantly surprised that the Iranians have agreed to so much here," Brennan said. "In terms of the inspections regime, the reduction as far as the centrifuges, the stockpile, what they're doing with the Arak reactor - all of that I think is really quite surprising and quite good." Regarding the Arak heavy water nuclear reactor, American and Iranian versions of the framework agreement have contradicted each other, with the US saying Iran has agreed to dismantle the core, while the Iranian text says the exact opposite; the plant will remain, and in fact be "updated and modernized." Citing Tehran's "concessions," including agreeing to a reduction of centrifuges, Brennan said: "Boy, nobody ever thought they would do that at the beginning." Some critics were less focused on Iran's nuclear program and more on the effect of lifting sanctions, as they worry it will allow Tehran to "cause more trouble throughout the area," Brennan said. That was a legitimate concern, he admitted. But the framework deal itself offered a way of curtailing any attempt by Iran to build nuclear weapons and is "as solid as you can get," he claimed. Israel has noted that of the 17 states with peaceful nuclear programs, none enrich uranium as Iran is being allowed to continue doing. US and allied intelligence agencies would be closely monitoring how Iran implemented any deal and there was no expectation that Tehran would alter its stance in the region, he acknowledged. Iran has been violently exerting its influence in Lebanon, Yemen, Syria and Iraq. It was unclear if the "pragmatic" approach demonstrated by President Hassan Rouhani on the nuclear negotiations would "migrate to other areas of Iranian foreign policy," he said. "I think we'll see. But I don't think this is going to lead to a light switch when all of a sudden the Iranians are going to become passive, docile in the region, no." Brennan, a career intelligence officer who served as Obama's counter-terrorism adviser before taking over at the spy agency, said Iran's attitude on the issue had changed since Obama entered office six years ago, mainly because sanctions had hit the country's economy hard. New leadership under Rouhani, who was a "more reasonable" figure, also provided an opening. 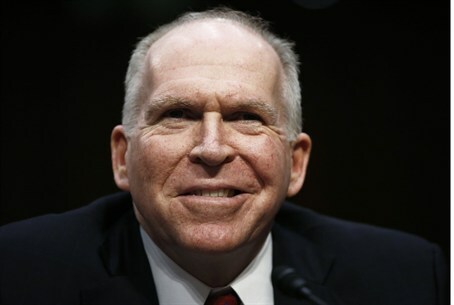 Apparently recognizing the threat posed by the sanctions, the supreme leader, Ayatollah Ali Khamenei, gave a green light to Rouhani to try to broker a deal, Brennan said. If the talks failed, Khamenei could then blame Rouhani and his foreign minister for the result, he added. Khamenei has openly admitted that the nuclear talks are a tactic to deceive the West. The CIA chief also suggested obliquely that digital sabotage on Iran's uranium enrichment work had played a role. Asked by New York Times reporter David Sanger if the cyber attack was a factor, Brennan said: "I think their inability to progress certainly helped slow that program." Sanger in 2012 broke the story of Stuxnet, a US-Israeli effort to undermine Iran's nuclear program with a damaging computer worm. Brennan made a joking reference to Sanger's articles, saying: "I wouldn't attribute your reporting to helping that frankly."